Right now, only a small percentage of farmworkers in North Carolina have collective bargaining rights on the job. 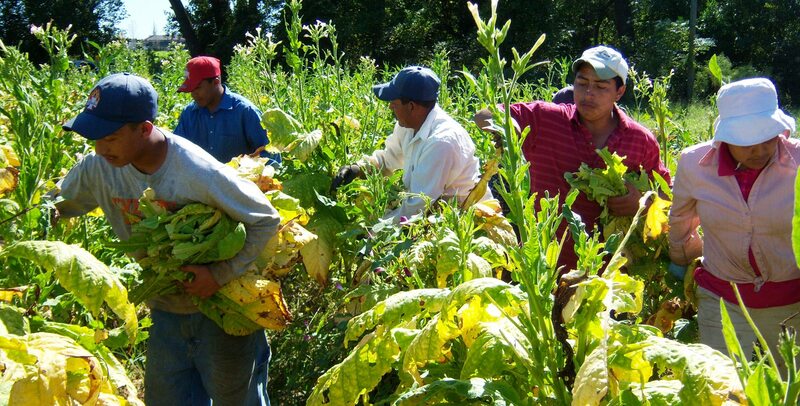 In order to build pressure on the tobacco companies that have the power to eliminate human rights abuses in their supply chains, we need to build our union’s strength and presence throughout the state. This will be achieved by adding thousands of new members who are ready to fight for fair and safe living and working conditions. This season FLOC members, organizers, and volunteers will be out in the labor camps across North Carolina each night, talking with tobacco farmworkers about the issues they are facing, how they can address those issues through collective action, the current campaign for farmworkers’ rights, and how to sign up and join the fight. Join the team! We are still looking for staff and volunteers who will help us hit the camps.